Like many beach bums, Rich followed his heart to the beach in 2012, setting a new goal in life — never travel north of I-10 (unless it’s for a trop rock performance, of course!) Happily calling Sarasota his new home port, Schooner brings his own unique style of trop rock to beach bars, crab shacks and Parrot Head house parties all across Florida and beyond. 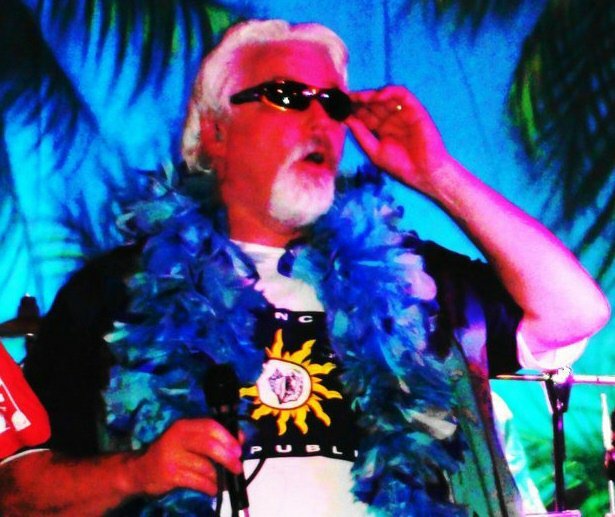 Rich has lived and played in some of America’s most exotic and notorious ports of call, from Key West to Captiva, Miami to Memphis, New Orleans to Nashville, as well as Cincinnati, Orlando, St. Louis and Beaufort, SC, among many others. He’s played backyard barbecues, ball parks, beach parties, country clubs, wineries and corporate events all over the South, Midwest and Florida. But his first true love remains bringing the beach to Parrot Head Clubs! My Own Private Island, Rich’s third CD was released in February 2016. It’s a collection of songs about life and laughter on the Gulf Coast of his beloved Florida. His prior two CD releases, Footsteps in the Sand (2013) and Mid Life Vices (2012), are still also available for purchase. Just click the links or visit the Listen and Buy page of this site! And if you’re looking for a bit of the beach to liven up your party, he’s your mon!